#JusticeForHan: Does 'Fate of the Furious' twist betray the 'Fast and Furious' family? 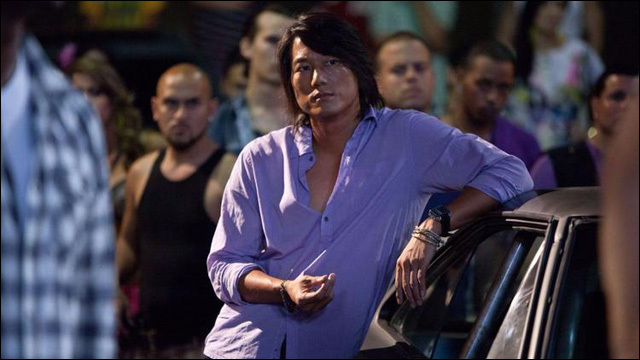 Jen Yamato rallies the Sung Kang faithful for #JusticeForHan, in response to a stunning turn of events that appears betray the beloved character's memory in the latest Fast & Furious movie. 'Model Minority' Myth Again Used As A Racial Wedge Between Asians And Blacks: The model minority myth has always been used to pit races against each other. And once again, it's being used as a racial wedge between Asians and Blacks. Trump Lost More Of The Asian-American Vote Than The National Exit Polls Showed: By all accounts, President Trump did not win the Asian-American vote in 2016. According to AALDEF's latest exit polling report, Clinton won almost four-in-five Asian-American voters (79 percent) with just 18 percent for Trump. Whitewashing Hollywood movies isn't just offensive -- it's also bad business: The future of the film industry lies in nonwhite audiences. Isn't it time for Hollywood studios to stop biting the hand that feeds them? How early SF kept Chinese children out of the schoolhouse: When San Francisco's population of Chinese immigrants swelled in the 1850s, white San Franciscans moved to further segregate the city's schools. Why are breast cancer rates rising among Asian-Americans in California? While breast cancer rates have plateaued or declined in some racial groups, they've been steadily rising among Asian Americans since 1988. Dismantling Stereotypes About Asian-American Identity Through Art: A timely exhibition called "Excuse me, can I see your ID?" is "not intended for the white gaze." To Swim is to Endure: On Living with Chronic Pain: For years, writer and journalist Melissa Hung has been living with a painful, chronic headache. Here, she talks about how swimming helps to manage her symptoms. TV's new hot jock Ross Butler on breaking big with '13 Reasons Why': 13 Reasons Why and Riverdale star Ross Bulter is ready to be Hollywood's next big leading man.